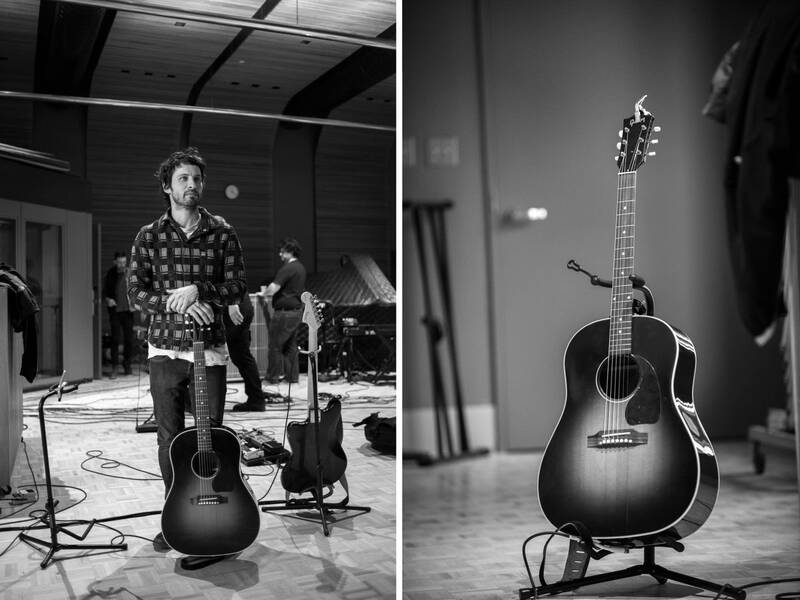 When the Sam Roberts Band stopped in to The Current's studio to chat with Jill Riley and to play a few songs off their new album, Lo-Fantasy, we had some time at the end to ask Sam Roberts about his guitar. He was happy to tell us about two guitars that are very close to his heart. Tell me about your acoustic guitar. This is a Gibson J-45. I got it in about 2001. As you can see, these cracks are not through neglect. This is a true touring guitar, one that goes in and out from a cold trailer on the Canadian highway or a place like here in Minnesota and into a steaming hot venue. This is a picture of suffering right here, this poor guitar. And it takes almost constant upkeep just to keep it in any way playable. Do you keep a humidifier in your case? No. There's no point, really, at this juncture for this old girl, because the damage is done! But we should do that. We should. You know, when you first get the guitar and it's this pristine, beautiful thing. They say you basically speak to it about how you're going to cherish it and care for it your whole life. And then I think it took about a year for the first crack to appear in this thing, and we've never gone back. But we've been to a lot of places together, so I'm reluctant to retire this one. I got this guitar in Michigan. We were on the road, and buying an American Gibson guitar is  not strangely enough  more affordable when you come to America. American Gibson or American Fenders are pricier back home in Canada, so we're always looking out for real American-made guitars in the States. When I found this one, they were having a sale at the time, so I scrounged together every last dime. I'm glad that I invested in it, thinking back to it now, because it really has gone to hell and back with me. You don't know that when you first buy that guitar. You just think it's going to remain this beautiful, pristine object forever. That's clearly not the case. 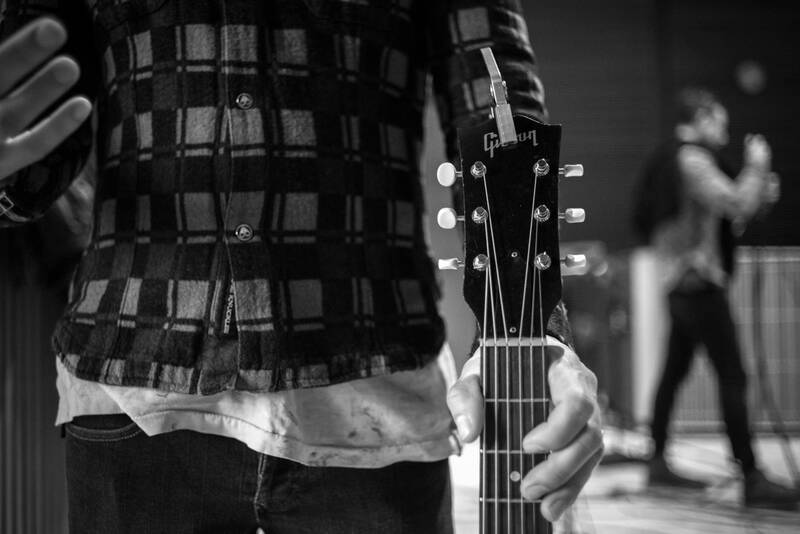 Where have you and this guitar travelled together? This has toured all over North America and Europe, it's been to Japan, it's been to Australia to make records. It's been on every one of our records. For whatever reason  and we have other acoustic guitars  but for whatever reason, whoever is the recording engineer says, "I like the sound of that one." And that's why we keep resurrecting it and bringing it back from the dead. Did you write a lot of Lo-Fantasy on the Gibson? I wrote a lot of Collider on this guitar and Love at the End of the World, but I have this other guitar with huge cracks in it at home, a Larrivée. Have you ever heard of Larrivée acoustic guitars? They were based out of British Columbia, and they've actually moved their operation I think down to California since, but I do write a lot on acoustic guitar. What did you use on Lo-Fantasy? The main inspiration for Lo-Fantasy was the sound of the Fender Jazzmaster. That's on every song, and my mission was to play the Jazzmaster for all of my parts on every single song, and that's why I'm touring with it now. So I've reconfigured my whole amp setup, my whole stage thing, my pedals and everything to play Jazzmaster through my stage rig now. 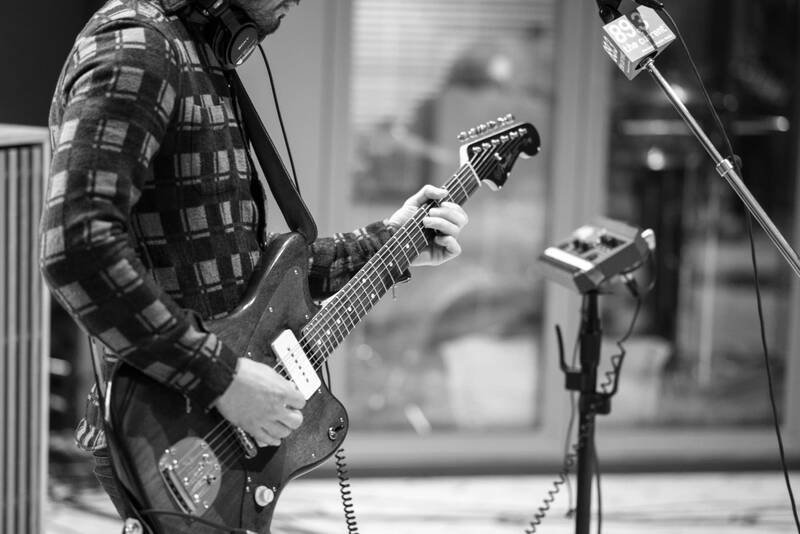 Because it just felt like it wouldn't be the sound of this record without a Jazzmaster. Have you had the Jazzmaster for a long time? I've had for two years. But I could never fit it in onstage because I was playing a Gibson 335 before as kind of my main guitar, and if you set up an amp for a 335, it's not necessarily conducive to playing a Jazzmaster, and I didn't want to be constantly fooling around with the EQ knobs and everything on stage. So now I've semi-retired the 335, at least for Lo-Fantasy, because it really is the guitar sound of this record. It comes from the Jazzmasater. 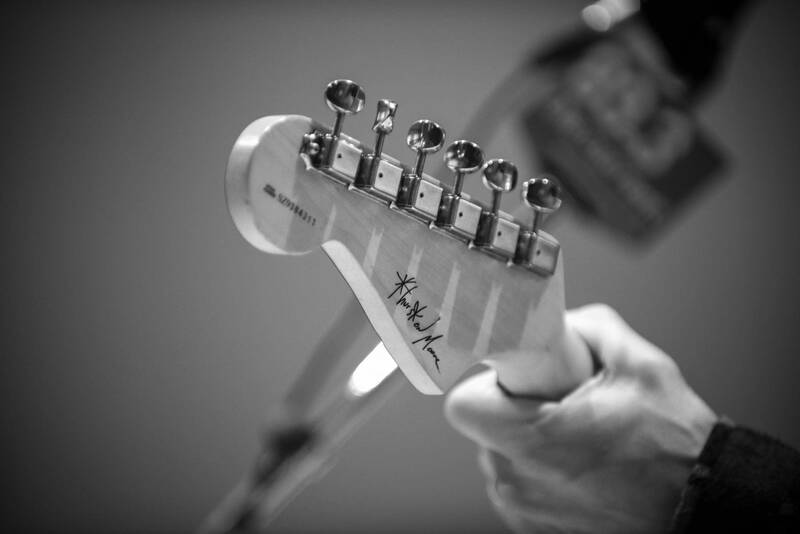 Did you buy the Jazzmaster in Montreal? I got that one in Montreal off of Craigslist. A guy, he says, "Come meet me" and I thought, "This address looks really familiar." I was on my way to rehearsal, and I was like, "Whoa, it looks like it's really close to my rehearsal space" and it turns out that it's in the exact same building as the rehearsal space! It's another guy we know from another band who was selling his guitar. 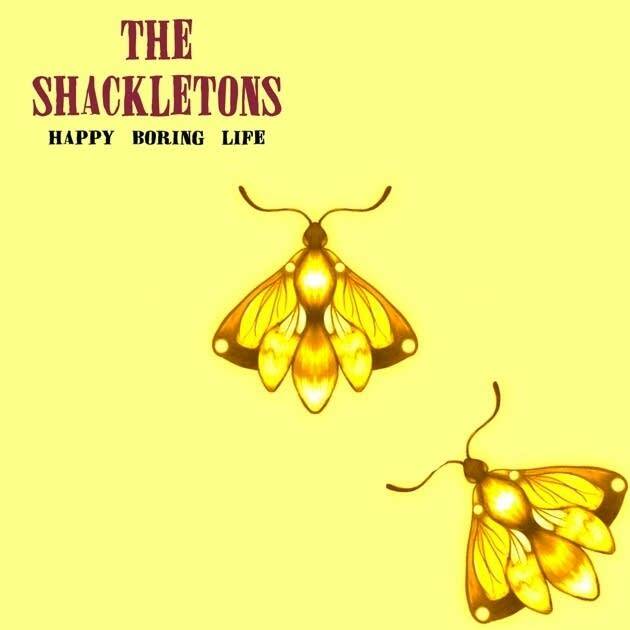 This one is the Thurston Moore edition, from Sonic Youth. What Thurston did with the Jazzmaster is to take away all of the unnecessary trinkets on the guitar. For example, I have another Jazzmaster and it has a whole bunch of toggle switches and things like that that I never use  I ended up putting a big piece of tape over it so I don't inadvertently flick them on or off while we're playing. Thurston also got rid of the tone knob because, the logic behind it is, presumably, this is the sound you want from a Jazzmaster, so let's just have a volume knob and the pickup switch. He really simplified the guitar and kind of distilled it down to the real essence of the Jazzmaster sound. Seems you go for the reliable, hard-working guitars. Being unaware of where you're going to travel, especially if you're a touring musician, you ask: Where am I going to go with this instrument? What will it mean to me, and how will I rely on it to be there for me, you know? So a guitar that stays in tune becomes your absolute best friend on the road. A guitar that has good intonation, and the neck can withstand the temperature changes so you don't feel like you're playing a different instrument every single time that you plug it in, those are the things by which you measure a guitar and your relationship with the guitar. Then it looks like you've found some good friends in these guitars. Yeah, these are a couple of good friends. We considered retiring the Gibson last year, but then we had it fixed and they did a pretty good job with the cracks, so it looks like it's still good to go for a while. Look at Willie Nelson's guitar! It's got a hole right in the middle of it, so I figure if Willie's still playing his, then we can keep going with this one! The Current's Guitar Collection: Jeremy Messersmith, Martin DRS1 Jeremy Messersmith and his band stopped by The Current to play an in-studio set in MPR's Forum, hosted by Steve Seel. Just before they packed up the van for their trek to SXSW in Austin, Texas, Jeremy took some time to talk to us about his guitars. The Current's Guitar Collection: Thomas Savage of Kins, Epiphone Sheraton When dream-pop four-piece Kins stopped in to The Current's studio for a session ahead of their gig at the Turf Club in St. Paul, front man Thomas Savage took some time to tell us about his guitar, including why he hasn't clipped the excess off his strings just yet. 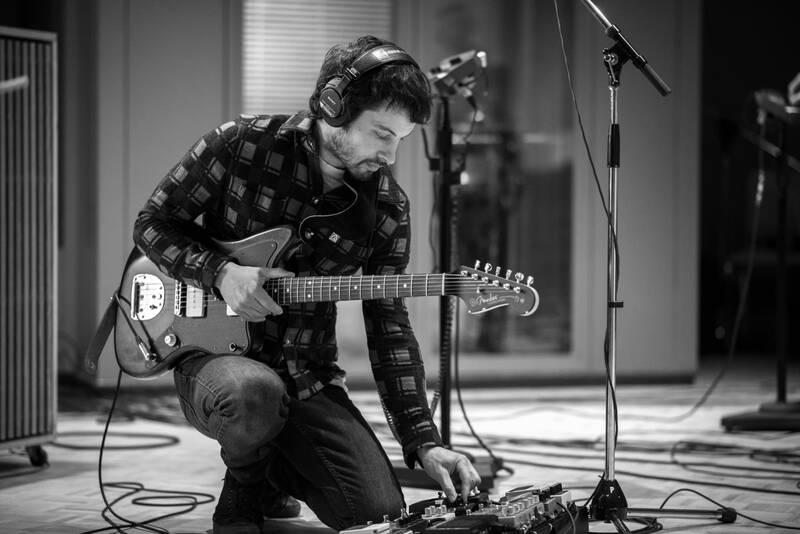 The Current's Guitar Collection: Peter Lalish of Lucius, 1960s Silvertone Lucius guitarist Peter Lalish took some time to tell us about how he enjoys finding vintage gear to help him create a '60s garage sound with authenticity. He also explains why he loves Minnesota so much -- you just might come think of him as a local musician once removed. The Current's Guitar Collection: Stephen Malkmus, Guild S-100 When he was in the studio with his band The Jicks a couple weeks ago, indie rock paragon Stephen Malkmus took a few minutes to talk to us about his guitar (and how he bought it from a friend) and about his approaches to performing and songwriting.